British police have arrested a couple on suspicion of holding three women captive for more than 30 years, Scotland Yard announced Thursday. Officers from the Human Trafficking Unit arrested the man and woman, both 67, at their south London home as part of an investigation into slavery and domestic servitude, the Metropolitan Police said. They are in custody. The "highly traumatized" victims - a 69-year-old Malaysian woman, 57-year-old Irish woman and 30-year-old Briton - have been taken to a place of safety, the Metropolitan Police said in a statement. 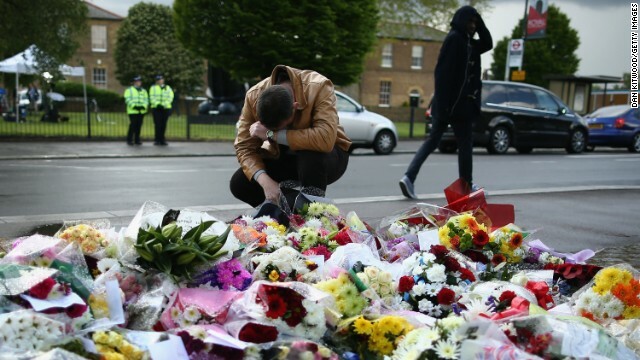 Rigby's brutal killing has spurred an outburst of emotions around England, like this man bowing his head near a makeshift memorial for the slain soldier. Three more people were arrested Saturday in connection with this week's grisly killing of British soldier Lee Rigby, police said. The men were being held on suspicion of conspiracy to commit murder, the Metropolitan Police said in a statement. 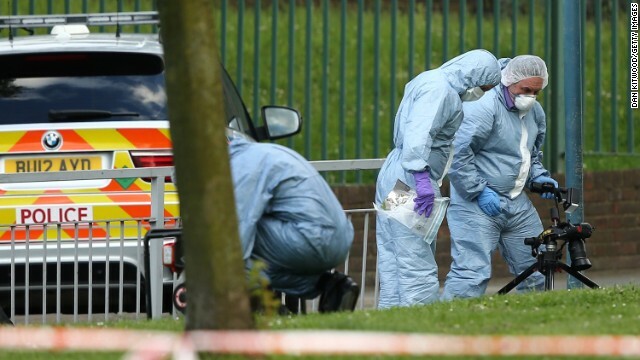 Police did not detail how they were allegedly tied to the killing nor did they release their identities, saying only that the men - ages 21, 24 and 28 - were arrested by detectives from the Counter Terrorism Command and taken to a south London police station. 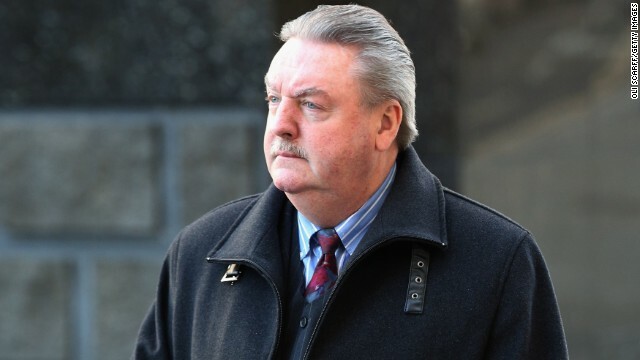 James McCormick, seen here arriving in a London court on April 23, 2013, was sentenced to 10 years in prison. The maker of a fake bomb detector that investigators say put lives at risk was sentenced Thursday to 10 years in prison by a London court. 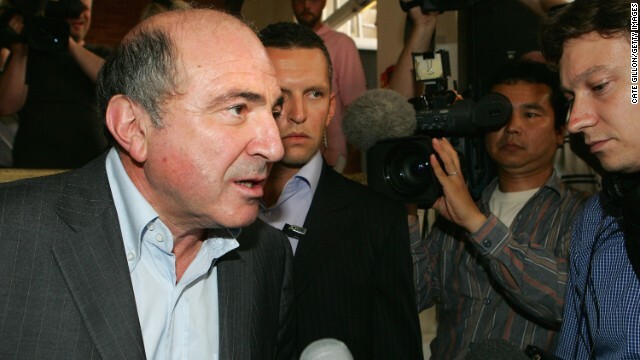 James McCormick, 57, marketed his ADE 651 units to government agencies and private companies around the world, including in Iraq, with sales exceeding $50 million by his own admission. However, independent tests showed the device has no better than a random chance of finding a golf ball, much less a bomb. British police say the device - the ADE standing for "Advanced Detection Equipment" - is really a novelty golf-ball finder with the label removed. The security plan in place for the London Marathon this weekend will be reviewed following the deadly bomb blasts in Boston, London's Metropolitan Police said Tuesday. "We will be reviewing our security arrangements in partnership with London Marathon," said event commander Chief Supt. Julia Pendry. Police and race organizers said they are working closely together on security arrangements for Sunday's race, which attracts tens of thousands of competitors and spectators each year. 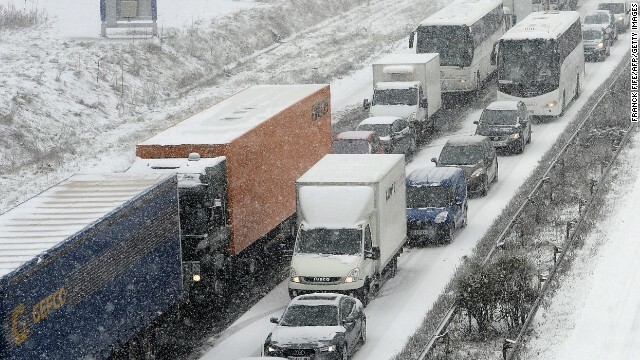 The organizers of the London Marathon said they expected the event "will go ahead as originally scheduled." Former Prime Minister Baroness Thatcher talks with British Prime Minister David Cameron inside Number 10 Downing Street on June 8, 2010. 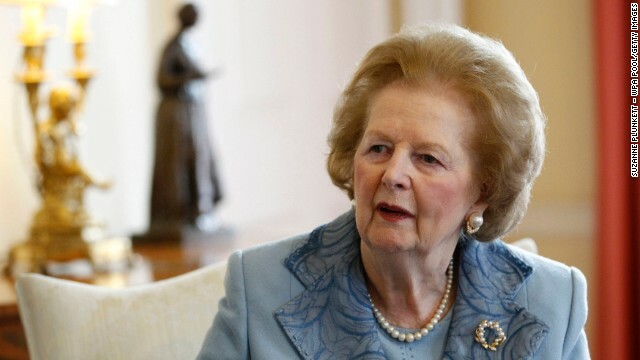 Former British Prime Minister Margaret Thatcher, a towering figure in post-war British and world politics, and the first woman to become British prime minister, has died at the age of 87, her spokeswoman said Monday. Thatcher served from 1979 to 1990 as leader of the Conservative Party. She was called the "Iron Lady" for her personal and political toughness. 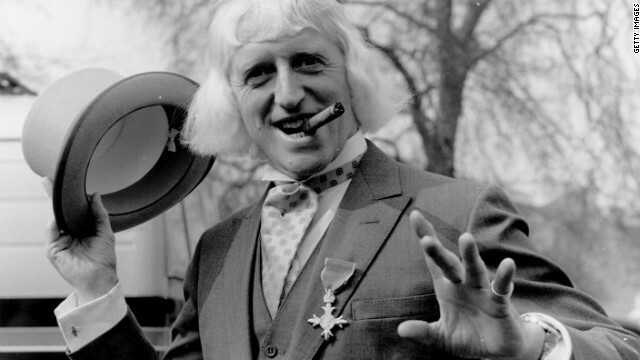 Thatcher retired from public life after a stroke in 2002 and suffered several strokes after that. 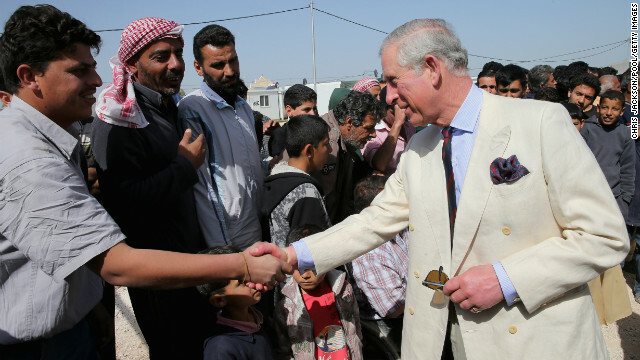 Prince Charles meets Syrian refugees in the King Abdullah Refugee Camp, 2 kilometers from the Syrian border. 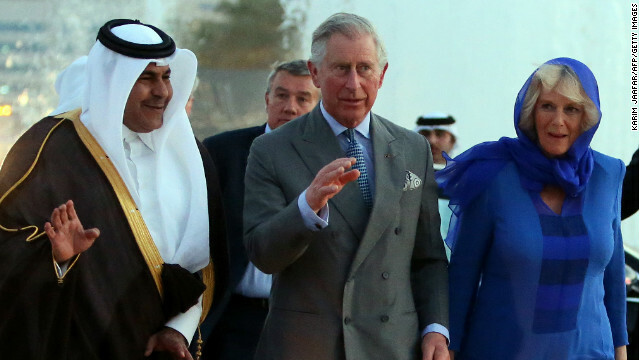 Britain's Prince Charles and his wife Camilla visited a U.N. refugee camp in Jordan on Wednesday, near the border with Syria. The camp, run by the United Nations, UNICEF and Save the Children, is home to about 1,000 people who have fled the conflict that has raged for about two years. About 20 children staying at the camp sang songs to the Prince of Wales and the Duchess of Cornwall. British newspapers are abuzz with speculation that Prince William's pregnant wife Catherine is expecting a girl after a member of the public reported hearing what seemed to be a hint that a daughter is on the way. The Duchess of Cambridge was talking to members of the public on a visit to the coastal town of Grimsby, in northeast England, on Tuesday when the apparent slip of the tongue was made. Sandra Cook, 67, said, "The lady next to me gave her a teddy bear and I distinctly heard her say: 'Thank you, I will take that for my d...' Then she stopped herself."